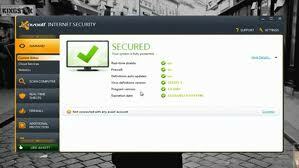 We are in the year of 2013 and there are some softwares that are suppose to be noted for there remarkable performance such as the best free antivirus 2013 , this post will let you know the best 2013 antivirus that you can use to protect your computers. Now in this post I noted the best free antivirus that is rocking right now in this year of 2013 and that are free to use and are also not heavy. When I say heavy, I don’t mean in size when installed but I mean best 2013 antivirus that do not slow the speed of the computer when it in use and best free antivirus 2013 that are popular in the market and are also rated by users due to the performance of such antivirus. 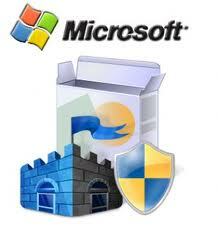 This is one of the famous and widely used in the world now, the antivirus was developed by Microsoft to fight virus when the attack, the reasons why these antivirus is topping as one of the best free antivirus for 2013 is very obvious as it very light and its very good in detecting virus. The users of the antivirus have been rating the antivirus with a 5 star because of the performance and protect it provides to there computers from virus. Microsoft has also integrated the antivirus into their latest OS which is windows 8 as Windows Defender. Avast is a popular name among both computer experts and even newbies when it comes to computer usage as the best free antivirus 2013, avast which also has both paid and free version but the free version is widely used among operators. Avast antivirus which was given an award of the best antivirus as of 2012 but due to some reasons it is not ranking number 1 this time because of the slow scans and also high resource usage. Avast antivirus has a very good and interactive interface for users to play in. AVG antivirus has been known for a long time, the 2013 version comes with a clean interface to match that of the windows 8 operating system, AVG antivirus is a very effective antivirus when it comes to do with removal of virus from your computer. The reason for the decline in AVG antivirus is because the antivirus slows the computer down when you are scanning through files but the antivirus does the job well and that why it among the best free antivirus 2013. Avira Antivirus was once a popular antivirus but now it now rising fast to the top as it brings out the new interface which is extremely user friendly in the 2013 version of the antivirus. Panda cloud is a new antivirus in the market but it quickly gaining ground and reputation among the rest as it easily detects virus and even malware from your come which makes it the best 2013 antivirus. So you can try it out and see how it works and also protects your computer from attacks from viruses. 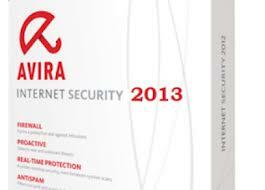 Do You Now Know The Best Free Antivirus 2013 ? i really love avast. It so cool. I will try others out. thanks for commenting korede, avast is a good antivirus! I like Avast Damilare. Great review here. Use an AV now to save yourself headaches down the road.